The chip was posted for sale at Chinese site Taobao for 15,500 yuan, or about $2,415, according to WCCF Tech. 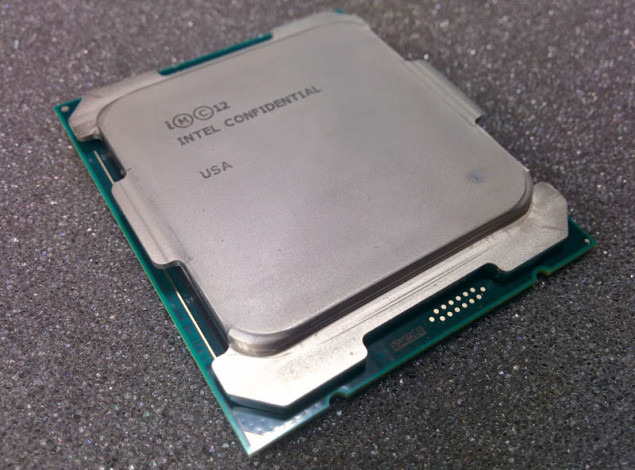 The vendor posted alleged benchmarks indicating that the processor is a 20-core/40-thread Xeon E5-2698 V4 clocked at 2.1 gigahertz. The cores are said to boost up to 3.5 gigahertz, and offer a combined 50 megabytes of L3 cache. Memory speed is identified as 2,400 megahertz, faster than the 2,133/1,866-megahertz on present Xeons. The current E5-2698 V3, by contrast, has 16 cores, 40 megabytes of cache space, and a 2.3/3.6-gigahertz clock speed. 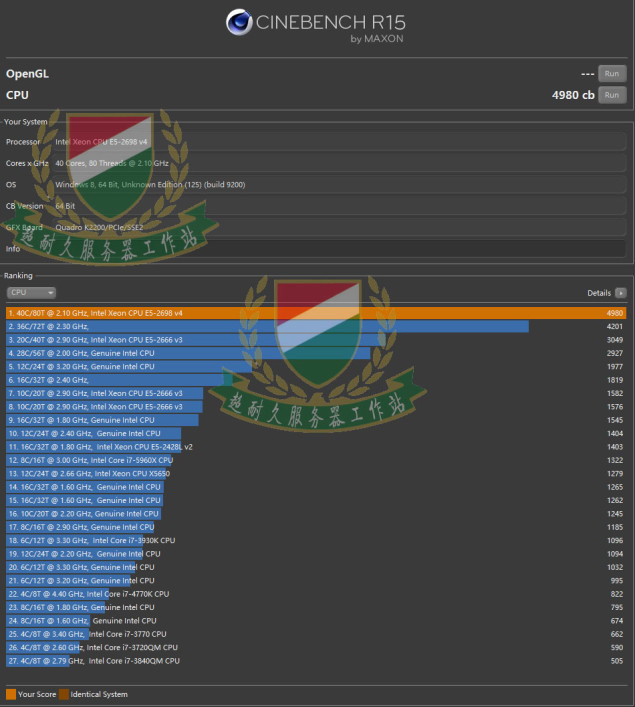 In CineBench, the leaked chip scored 4980 points in a multi-threaded test —handily beating its predecessor. The 2013 Mac Pro offers a choice of quad-, 6-, 8-, or 12-core Xeon E5 processors with clock speeds ranging between 2.7 and 3.7 gigahertz, inverse to the number of cores. No model has more than 30 megabytes of L3 cache. The Xeon E5 V4 series is due to ship in the first half of 2016, and support configurations up to 22 cores. It's unknown what ranges Apple might offer in a new Mac Pro, if any, but Intel should also be offering scaled-back Broadwell-E chips ranging from 6 to 10 cores. The Mac Pro is Apple's most powerful computer, aimed at professionals in high-end video and 3D graphics, but has taken a backseat in terms of the company's priorities. The product is one of Apple's few not in an annual update cycle, other examples being iPods and the Mac mini.